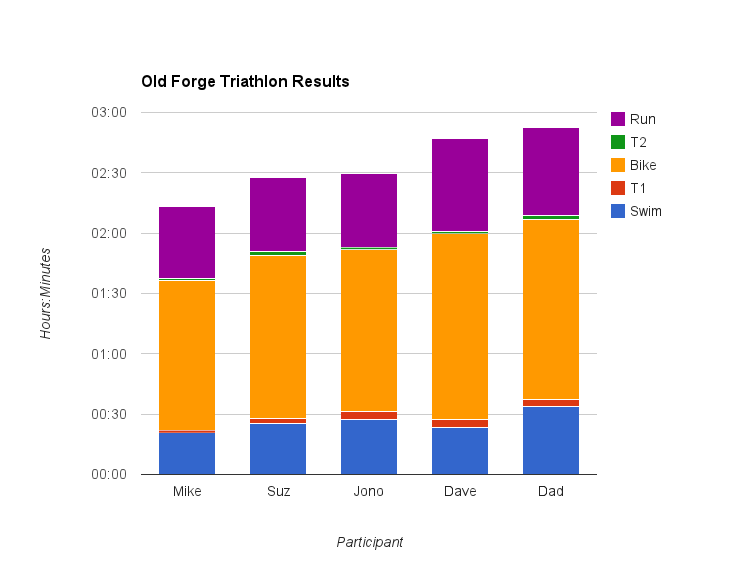 2 Fat Nerds - Old Forge Triathlon Results! 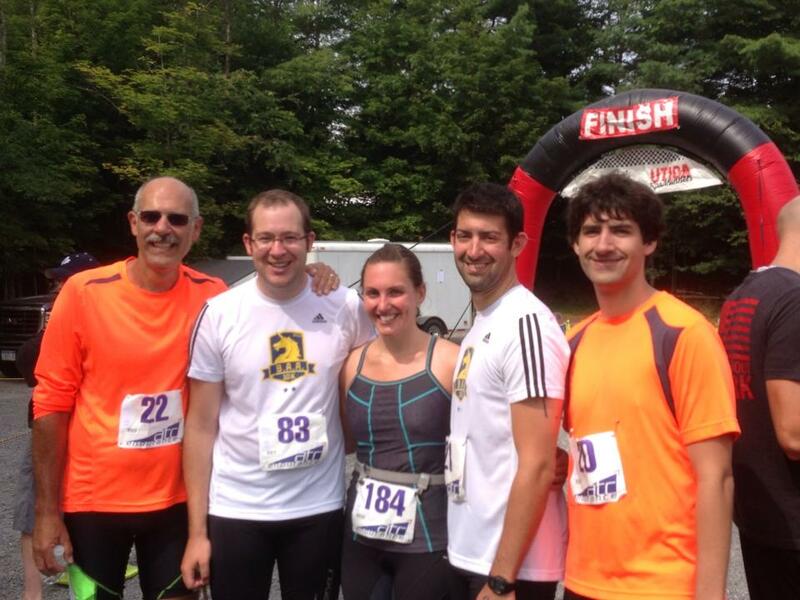 On Sunday, five of us competed in the ATC Endurance Old Forge Triathlon. It was a 1000 meter swim, 22 mile bike, and 4 mile run event. It was an absolute blast, and I think all of us are already planning on ways to improve for the next Tri that we are going to do. Congrats to Mike who took the number 1 spot from our team. Here are the results! I expect to do a proper race recap at some point this week. I am still in the collecting of photos stage of both the Triathlon and the Color run from Saturday. This is awesome! The chart of times is really interesting! Congratulations to all; you guys and girl rock.